Nashville - Beyond the Sunset - Advance Preview: "Happily Ever A Few Months Later"
“Beyond the Sunset” is a pretty decent series finale, especially when you consider just how problematic the past two seasons have been. It wraps up all of the storylines in a pretty pink bow, though not all of them feel earned. While most of the plots come to a satisfying conclusion, there are a few that feel rushed and slapped together, just thrown in there to appease fans. However, the final scene more than makes up for those storylines, as it is just everything. While I can’t give anything away about it, I would highly suggest that everyone watch it. Even if you want to fast forward through the rest of the episode, I would still recommend watching the last several minutes. It’s literally the perfect way to end the series, and I’d think you’ll agree. So now that I’ve overhyped the last few minutes, let’s continue onward. After all the pain and suffering Deacon has been through this season, he finally gets a chance to fulfill a lifelong dream. To be fair, Charles Esten does his best work when everything comes crashing down for Deacon, so I shouldn’t really complain, but it’s still to see Deacon have something good happen for him. He has been through so much over the past two seasons from losing Rayna and having to end things with Jessie and letting his father back into his life only to discover Gideon is still drinking, so if anyone deserves a happy-ish ending, it’s him. As for the “lifelong dream,” I can reveal it’s music related, which is relieving as the show has sort of moved away from the music aspect of the series. In fact, the opportunity Deacon gets is the perfect example of the sort of storyline the writers should have been utilizing all season long. It’s this amazing opportunity that comes along, but Deacon isn’t sure if the timing is right. As a single parent, he has the girls to think about; he can’t necessarily jump into something new without considering how it’ll affect the people around him. In this episode, he’s also still dealing with the revelation that Gideon was still drinking and trying to sort through all those confusing and complicated emotions. Deacon just let this man back into his life after repressing the childhood trauma and was just starting to maybe trust his father again when Gideon reaffirms Deacon’s gut instinct. So that is just part of Deacon’s state of mind when his father again reaches out this episode, wanting to explain things. Being the stubborn man he is, Deacon isn’t really looking forward to hearing anything from Gideon. You know the saying, ‘Fool me once, shame on you; fool me twice, shame on me,’ well that pretty much sums up Deacon’s feelings about his father. This is a man that has put Deacon through so much pain, and our leading man makes a decisive decision about their relationship moving forward. I’m not going to comment on my feelings about said decision, but I really have enjoyed watching this storyline unfold over the past several episodes. 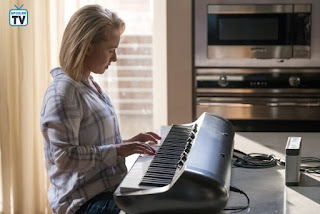 I thought it was a fitting storyline for Deacon as the showrunners finally decided to explore their leading man’s past, and I’m glad we got to see it play out. Meanwhile, Juliette makes another crucial decision. While this one isn’t as drastic as her announcement that she’s retiring from country music, it is still surprising in that expected way. Ever since escaping from essentially being held hostage, Juliette has been a different person, or rather she’s consistently been the person who she’s been in the past when at her best. Like I’ve said before, I wish this version of Juliette could have stuck around following the plane crash instead of devolving back to her old self after her failed gospel album. I really feel that such a life and death situation would have been an acceptable character development to get her from country diva to committed mother and wife*. Part of what also annoys me about this change is that, again, most of it happened off-screen. We didn’t really get to see Juliette become suspicious and distrustful of the Movement for the Coherent Philosophy; all we saw was her getting frustrated over overexerted workers and finally realizing the truth when the cult kept her against her will. It was just a 180-degree change from what she was feeling in the first half of the season. I know I should be happy that Juliette has finally come to her senses and is putting herself and her family first, but this just feels unearned. I understand the appeal of a happy ending, but for fans to really accept it, it needs to feel justifiable. As for how Juliette’s decision affects others, it obviously has the biggest impact on Avery. Despite the unknowable relationship status of these two, they will always be in each other’s lives because of Cadence. Having a child together binds people, and now the pair will have two. I don’t think it’s too much of a leap to reveal that Avery finally finds out about Juliette’s pregnancy in this episode, given that this is the series finale. At long last, fans will get to see Avery’s reaction, and he definitely has some strong opinions about Juliette keeping this from him. As for how the crucial decision Juliette makes and Avery’s discovery of her pregnancy affect the pair, I can’t say, but I promise you’ll find out. Fortunately, or unfortunately, there is no ambiguity with them. Viewers will also see how the sexual harassment storyline plays out regarding Brad and Alannah. 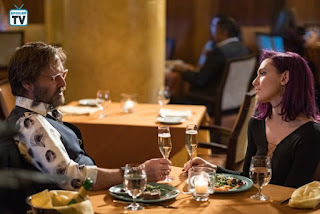 While Alannah has sort of been humoring Brad over the past several episodes, hoping the flirting would be enough to placate him and stop him from tanking her career; she finally confronts him after he makes a pass at her. This said indiscretion goes beyond the double entendres and innuendos Brad has been making over the past few episodes and crosses a clear line. That’s not to say his actions until now have been acceptable – by no means have they – but this time he goes far enough that I think everyone will agree it was inappropriate. In the past few episodes, characters like Avery, Jessie and Deacon have sort of hovered on the edge of getting involved, but in this episode one or more characters are fully thrown into the mix. So it’s really interesting to see how those dynamics play out, and I think there can be a lot said about it. Granted this is a television show, so what happens on the screen may not play out in real life, but it can still give those in similar situations hope. While I’ve questioned Alannah’s motivations and torn Brad apart over the last half of a season, I really do think this was a highly topical storyline that needed to be told. With the recent revelations about sexual harassment and assault within the entertainment industry, the show would have been remiss if they ignored what was happening in the real world. They already had a villain in Brad and how horrible and manipulative he is toward Jessie and Jake, so for him to objectify women like this wasn’t really a stretch. The only missing piece was who would be the individual harassed. While I would have preferred to see a series regular *cough* Juliette *cough* tackle this subject matter instead of a somewhat questionable recurring character, I’m still glad the showrunners were bold enough to pursue this. I’ve given the writers are a hard time about some poorly executed storylines, but this was and still is beautifully done. If there was an award for best storyline involving the most pointless characters, this would take the cake. - I never thought I’d say this, but Maddie managed to impress me this episode. Ever since breaking up with Jonah, she has really come into her own. All season long, she has been touting this ‘I’m an adult’ sentiment, and this was the first episode where I felt like she finally gets it. For Maddie, I actually think this was the perfect ending. Viewers didn’t need to see her end up with a guy; what we needed (and get) was to see her to finally grow up. - As for The Last Highways, the guys discuss their future as a band. Ever since the whole love triangle fiasco, the band’s future has been up in the air. I really wish their musical endeavor hadn’t been derailed by pointless drama, but there’s nothing we can do about it now. I also don’t think I’m alone in wondering if The Last Highways even existed at this point in time. While this subplot isn’t heavily featured, viewers will get a definitive answer where the guys stand moving forward. 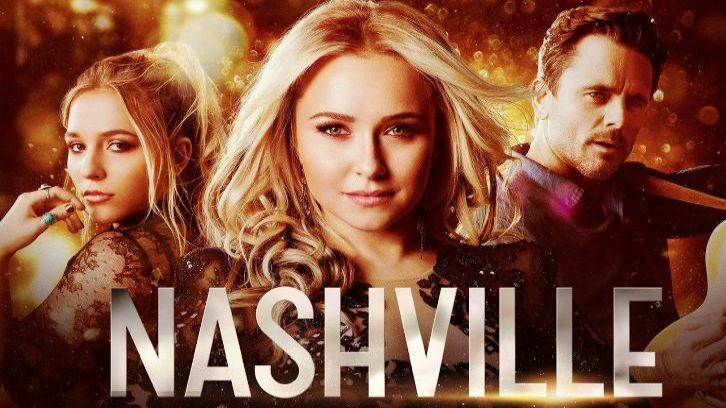 - Having made it to the final three, Daphne prepares for the final round of Nashville’s Next, and viewers will find out the results of the competition. I didn’t actually realize this until now, but her subplot is essentially the premise of “Camp Rock,” which may have been a reason I liked it. (And just to clarify I was in middle school when that movie came out). It was that sort of upbeat coming age of story with some hardship sprinkled in for good measure. I’m pretty satisfied with where the story goes and wouldn’t change much, except maybe the amount of time spent on it. - Along with everything else, the series also shows where everyone ends up by fast forwarding a few months into the future. Unlike some other shows where the flash forward is just a montage of moments, some of those are expanded upon with actual dialogue. I think it's like nine or ten minutes of what happens next, but in the best way possible. I think the best way to describe it would be like a cross between a time jump and a finale montage. I hope that wasn't vague enough because I can't really say more without giving everything away. So hit the comments below to let me know your thoughts. What makes the final scene so perfect and amazing? What does Deacon do about Gideon? Where do Juliette and Avery go from here? How does the sexual harassment storyline play out? Where do you think everyone ends up?